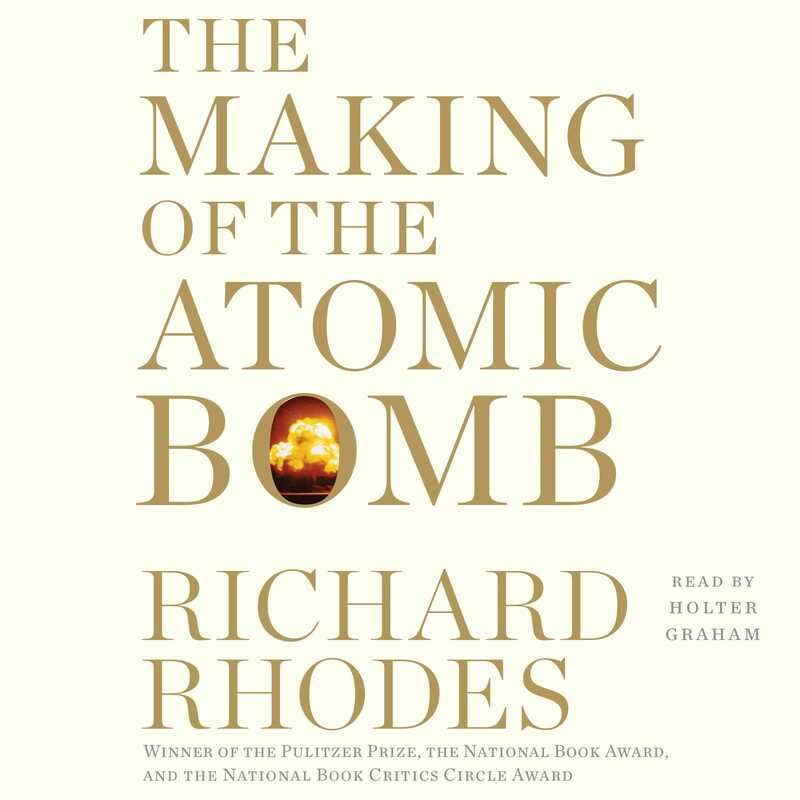 Here for the first time, in rich, human, political, and scientific detail, is the complete story of how the bomb was developed, from the turn-of-the-century discovery of the vast energy locked inside the atom to the dropping of the first bombs on Japan. Few great discoveries have evolved so swiftly -- or have been so misunderstood. From the theoretical discussions of nuclear energy to the bright glare of Trinity there was a span of hardly more than twenty-five years. What began as merely an interesting speculative problem in physics grew into the Manhattan Project, and then into the Bomb with frightening rapidity, while scientists known only to their peers -- Szilard, Teller, Oppenheimer, Bohr, Meitner, Fermi, Lawrence, and yon Neumann -- stepped from their ivory towers into the limelight. In London, where Southampton Row passes Russell Square, across from the British Museum in Bloomsbury, Leo Szilard waited irritably one gray Depression morning for the stoplight to change. A trace of rain had fallen during the night; Tuesday, September 12, 1933, dawned cool, humid and dull. Drizzling rain would begin again in early afternoon. When Szilard told the story later he never mentioned his destination that morning. He may have had none; he often walked to think. In any case another destination intervened. The stoplight changed to green. Szilard stepped off the curb. As he crossed the street time cracked open before him and he saw a way to the future, death into the world and all our woe, the shape of things to come. Leo Szilard, the Hungarian theoretical physicist, born of Jewish heritage in Budapest on February 11, 1898, was thirty-five years old in 1933. At five feet, six inches he was not tall even for the day. Nor was he yet the "short fat man," round-faced and potbellied, "his eyes shining with intelligence and wit" and "as generous with his ideas as a Maori chief with his wives," that the French biologist Jacques Monod met in a later year. Midway between trim youth and portly middle age, Szilard had thick, curly, dark hair and an animated face with full lips, flat cheekbones and dark brown eyes. In photographs he still chose to look soulful. He had reason. His deepest ambition, more profound even than his commitment to science, was somehow to save the world. The Shape of Things to Come was H. G. Wells' new novel, just published, reviewed with avuncular warmth in The Times on September 1. "Mr. Wells' newest 'dream of the future' is its own brilliant justification," The Times praised, obscurely. The visionary English novelist was one among Szilard's network of influential acquaintances, a network he assembled by plating his articulate intelligence with the purest brass. In 1928, in Berlin, where he was a Privatdozent at the University of Berlin and a confidant and partner in practical invention of Albert Einstein, Szilard had read Wells' tract The Open Conspiracy. The Open Conspiracy was to be a public collusion of science-minded industrialists and financiers to establish a world republic. Thus to save the world. Szilard appropriated Wells' term and used it off and on for the rest of his life. More to the point, he traveled to London in 1929 to meet Wells and bid for the Central European rights to his books. Given Szilard's ambition he would certainly have discussed much more than publishing rights. But the meeting prompted no immediate further connection. He had not yet encountered the most appealing orphan among Wells' Dickensian crowd of tales. I said to them at the time that I did of course not know who would win the war, but I did know how the war ought to end. It ought to end by the defeat of the central powers, that is the Austro-Hungarian monarchy and Germany, and also end by the defeat of Russia. I said I couldn't quite see how this could happen, since they were fighting on opposite sides, but I said that this was really what ought to happen. In retrospect I find it difficult to understand how at the age of sixteen and without any direct knowledge of countries other than Hungary, I was able to make this statement. He seems to have assembled his essential identity by sixteen. He believed his clarity of judgment peaked then, never to increase further; it "perhaps even declined." His sixteenth year was the first year of a war that would shatter the political and legal agreements of an age. That coincidence -- or catalyst -- by itself could turn a young man messianic. To the end of his life he made dull men uncomfortable and vain men mad. He graduated from the Minta in 1916, taking the Eötvös Prize, the Hungarian national prize in mathematics, and considered his further education. He was interested in physics but "there was no career in physics in Hungary." If he studied physics he could become at best a high school teacher. He thought of studying chemistry, which might be useful later when he picked up physics, but that wasn't likely either to be a living. He settled on electrical engineering. Economic justifications may not tell all. A friend of his studying in Berlin noticed as late as 1922 that Szilard, despite his Eötvös Prize, "felt that his skill in mathematical operations could not compete with that of his colleagues." On the other hand, he was not alone among Hungarians of future prominence in physics in avoiding the backwater science taught in Hungarian universities at the time. He began engineering studies in Budapest at the King Joseph Institute of Technology, then was drafted into the Austro-Hungarian Army. Because he had a Gymnasium education he was sent directly to officers' school to train for the cavalry. A leave of absence almost certainly saved his life. He asked for leave ostensibly to give his parents moral support while his brother had a serious operation. In fact, he was ill. He thought he had pneumonia. He wanted to be treated in Budapest, near his parents, rather than in a frontier Army hospital. He waited standing at attention for his commanding officer to appear to hear his request while his fever burned at 102 degrees. The captain was reluctant; Szilard characteristically insisted on his leave and got it, found friends to support him to the train, arrived in Vienna with a lower temperature but a bad cough and reached Budapest and a decent hospital. His illness was diagnosed as Spanish influenza, one of the first cases on the Austro-Hungarian side. The war was winding down. Using "family connections" he arranged some weeks later to be mustered out. "Not long afterward, I heard that my own regiment," sent to the front, "had been under severe attack and that all of my comrades had disappeared." In the summer of 1919, when Lenin's Hungarian protégé Bela Kun and his Communist and Social Democratic followers established a short-lived Soviet republic in Hungary in the disordered aftermath of Austro-Hungarian defeat, Szilard decided it was time to study abroad. He was twenty-one years old. Just as he arranged for a passport, at the beginning of August, the Kun regime collapsed; he managed another passport from the right-wing regime of Admiral Nicholas Horthy that succeeded it and left Hungary around Christmastime. Still reluctantly committed to engineering, Szilard enrolled in the Technische Hochschule, the technology institute, in Berlin. But what had seemed necessary in Hungary seemed merely practical in Germany. The physics faculty of the University of Berlin included Nobel laureates Albert Einstein, Max Planck and Max von Laue, theoreticians of the first rank. Fritz Haber, whose method for fixing nitrogen from the air to make nitrates for gunpowder saved Germany from early defeat in the Great War, was only one among many chemists and physicists of distinction at the several government- and industry-sponsored Kaiser Wilhelm Institutes in the elegant Berlin suburb of Dahlem. The difference in scientific opportunity between Budapest and Berlin left Szilard physically unable to listen to engineering lectures. "In the end, as always, the subconscious proved stronger than the conscious and made it impossible for me to make any progress in my studies of engineering. Finally the ego gave in, and I left the Technische Hochschule to complete my studies at the University, some time around the middle of '21." Physics students at that time wandered Europe in search of exceptional masters much as their forebears in scholarship and craft had done since medieval days. Universities in Germany were institutions of the state; a professor was a salaried civil servant who also collected fees directly from his students for the courses he chose to give (a Privatdozent, by contrast, was a visiting scholar with teaching privileges who received no salary but might collect fees). If someone whose specialty you wished to learn taught at Munich, you went to Munich; if at Göttingen, you went to Göttingen. Science grew out of the craft tradition in any case; in the first third of the twentieth century it retained -- and to some extent still retains -- an informal system of mastery and apprenticeship over which was laid the more recent system of the European graduate school. This informal collegiality partly explains the feeling among scientists of Szilard's generation of membership in an exclusive group, almost a guild, of international scope and values. Szilard's good friend and fellow Hungarian, the theoretical physicist Eugene Wigner, who was studying chemical engineering at the Technische Hochschule at the time of Szilard's conversion, watched him take the University of Berlin by storm. "As soon as it became clear to Szilard that physics was his real interest, he introduced himself, with characteristic directness, to Albert Einstein." Einstein was a man who lived apart -- preferring originality to repetition, he taught few courses -- but Wigner remembers that Szilard convinced him to give them a seminar on statistical mechanics. Max Planck was a gaunt, bald elder statesman whose study of radiation emitted by a uniformly heated surface (such as the interior of a kiln) had led him to discover a universal constant of nature. He followed the canny tradition among leading scientists of accepting only the most promising students for tutelage; Szilard won his attention. Max von Laue, the handsome director of the university's Institute for Theoretical Physics, who founded the science of X-ray crystallography and created a popular sensation by thus making the atomic lattices of crystals visible for the first time, accepted Szilard into his brilliant course in relativity theory and eventually sponsored his Ph.D. dissertation. The postwar German infection of despair, cynicism and rage at defeat ran a course close to febrile hallucination in Berlin. The university, centrally located between Dorotheenstrasse and Unter den Linden due east of the Brandenburg Gate, was well positioned to observe the bizarre effects. Szilard missed the November 1918 revolution that began among mutinous sailors at Kiel, quickly spread to Berlin and led to the retreat of the Kaiser to Holland, to armistice and eventually to the founding, after bloody riots, of the insecure Weimar Republic. By the time he arrived in Berlin at the end of 1919 more than eight months of martial law had been lifted, leaving a city at first starving and bleak but soon restored to intoxicating life. "There was snow on the ground," an Englishman recalls of his first look at postwar Berlin in the middle of the night, "and the blend of snow, neon and huge hulking buildings was unearthly. You felt you had arrived somewhere totally strange." To a German involved in the Berlin theater of the 1920s "the air was always bright, as if it were peppered, like New York late in autumn: you needed little sleep and never seemed tired. Nowhere else did you fail in such good form, nowhere else could you be knocked on the chin time and again without being counted out." The German aristocracy retreated from view, and intellectuals, film stars and journalists took its place; the major annual social event in the city where an imperial palace stood empty was the Press Ball, sponsored by the Berlin Press Club, which drew as many as six thousand guests. Ludwig Mies van der Rohe designed his first glass-walled skyscraper in postwar Berlin. Yehudi Menuhin made his precocious debut, with Einstein in the audience to applaud him. George Grosz sorted among his years of savage observation on Berlin's wide boulevards and published Ecce Homo. Vladimir Nabokov was there, observing "an elderly, rosy-faced beggar woman with legs cut off at the pelvis...set down like a bust at the foot of a wall and...selling paradoxical shoelaces." Fyodor Vinberg, one of the Czar's departed officers, was there, publishing a shoddy newspaper, promoting The Protocols of the Elders of Zion, which he had personally introduced into Germany from Russia -- a new German edition of that pseudo-Machiavellian, patently fraudulent fantasy of world conquest sold more than 100,000 copies -- and openly advocating the violent destruction of the Jews. Hitler was not there until the end, because he was barred from northern Germany after his release from prison in 1924, but he sent rumpelstiltskin Joseph Goebbels to stand in for him; Goebbels learned to break heads and spin propaganda in an open, lusty, jazz-drunk city he slandered in his diary as "a dark and mysterious enigma." In the summer of 1922 the rate of exchange in Germany sank to 400 marks to the dollar. It fell to 7,000 to the dollar at the beginning of January 1923, the truly terrible year. One hundred sixty thousand in July. One million in August. And 4.2 trillion marks to the dollar on November 23, 1923, when adjustment finally began. Banks advertised for bookkeepers good with zeros and paid out cash withdrawals by weight. Antique stores filled to the ceiling with the pawned treasures of the bankrupt middle class. A theater seat sold for an egg. Only those with hard currency -- mostly foreigners -- thrived at a time when it was possible to cross Germany by first-class railroad carriage for pennies, but they also earned the enmity of starving Germans. "No, one did not feel guilty," the visiting Englishman crows, "one felt it was perfectly normal, a gift from the gods." In order to make me independent of [inflation], my father had appealed to his friend, Kaufmann, the banker from Basle, who had established for me an account in American dollars at a large bank....Once a week I took half a day off to go downtown by subway and withdrew my allowance in marks; and it was more each time, of course. Returning to my rented room, I at once bought enough food staples to last the week, for within three days, all the prices would have risen appreciably, by fifteen percent, say, so that my allowance would have run short and would not have permitted such pleasures as an excursion to Potsdam or to the lake country on Sundays....I was too young, much too callous, and too inexperienced to understand what this galloping inflation must have meant -- actual starvation and misery -- to people who had to live on pensions or other fixed incomes, or even to wage earners, especially those with children, whose pay lagged behind the rate of inflation. So must Szilard have lived, except that no one recalls ever seeing him cook for himself; he preferred the offerings of delicatessens and cafés. He would have understood what inflation meant and some of the reasons for its extremity. But though Szilard was preternaturally observant -- "During a long life among scientists," writes Wigner, "I have met no one with more imagination and originality, with more independence of thought and opinion" -- his recollections and his papers preserve almost nothing of these Berlin days. Germany's premier city at the height of its postwar social, political and intellectual upheaval earns exactly one sentence from Szilard: "Berlin at that time lived in the heyday of physics." That was how much physics, giving extraordinary birth during the 1920s to its modern synthesis, meant to him. Four years of study usually preceded a German student's thesis work. Then, with a professor's approval, the student solved a problem of his own conception or one his professor supplied. "In order to be acceptable," says Szilard, it "had to be a piece of really original work." If the thesis found favor, the student took an oral examination one afternoon and if he passed he was duly awarded a doctorate. Szilard had already given a year of his life to the Army and two years to engineering. He wasted no time advancing through physics. In the summer of 1921 he went to Max von Laue and asked for a thesis topic. Von Laue apparently decided to challenge Szilard -- the challenge may have been friendly or it may have been an attempt to put him in his place -- and gave him an obscure problem in relativity theory. "I couldn't make any headway with it. As a matter of fact, I was not even convinced that this was a problem that could be solved." Szilard worked on it for six months, until the Christmas season, "and I thought Christmastime is not a time to work, it is a time to loaf, so I thought I would just think whatever comes to my mind." What he thought, in three weeks, was how to solve a baffling inconsistency in thermodynamics, the branch of physics that concerns relationships between heat and other forms of energy. There are two thermodynamic theories, both highly successful at predicting heat phenomena. One, the phenomenological, is more abstract and generalized (and therefore more useful); the other, the statistical, is based on an atomic model and corresponds more closely to physical reality. In particular, the statistical theory depicts thermal equilibrium as a state of random motion of atoms. Einstein, for example, had demonstrated in important papers in 1905 that Brownian motion -- the continuous, random motion of particles such as pollen suspended in a liquid -- was such a state. But the more useful phenomenological theory treated thermal equilibrium as if it were static, a state of no change. That was the inconsistency. Szilard went for long walks -- Berlin would have been cold and gray, the grayness sometimes relieved by days of brilliant sunshine -- "and I saw something in the middle of the walk; when I came home I wrote it down; next morning I woke up with a new idea and I went for another walk; this crystallized in my mind and in the evening I wrote it down." It was, he thought, the most creative period of his life. "Within three weeks I had produced a manuscript of something which was really quite original. But I didn't dare to take it to von Laue, because it was not what he had asked me to do." He took it instead to Einstein after a seminar, buttonholed him and said he would like to tell him about something he had been doing. "Well, what have you been doing?" Szilard remembers Einstein saying. Szilard reported his "quite original" idea. "That's impossible," Einstein said. "This is something that cannot be done." "Well, yes, but I did it." Szilard began explaining. "Five or ten minutes" later, he says, Einstein understood. After only a year of university physics, Szilard had worked out a rigorous mathematical proof that the random motion of thermal equilibrium could be fitted within the framework of the phenomenological theory in its original, classical form, without reference to a limiting atomic model -- "and [Einstein] liked this very much." Thus emboldened, Szilard took his paper -- its title would be "On the extension of phenomenological thermodynamics to fluctuation phenomena" -- to von Laue, who received it quizzically and took it home. "And next morning, early in the morning, the telephone rang. It was yon Laue. He said, 'Your manuscript has been accepted as your thesis for the Ph.D. degree.'" Six months later Szilard wrote another paper in thermodynamics, "On the decrease of entropy in a thermodynamic system by the intervention of intelligent beings," that eventually would be recognized as one of the important foundation documents of modern information theory. By then he had his advanced degree; he was Dr. Leo Szilard now. He experimented with X-ray effects in crystals, yon Laue's field, at the Kaiser Wilhelm Institute for Chemistry in Dahlem until 1925; that year the University of Berlin accepted his entropy paper as his Habilitationsschrift, his inaugural dissertation, and he was thereupon appointed a Privatdozent, a position he held until he left for England in 1933. One of Szilard's sidelines, then and later, was invention. Between 1924 and 1934 he applied to the German patent office individually or jointly with his partner Albert Einstein for twenty-nine patents. Most of the joint applications dealt with home refrigeration. "A sad newspaper story...caught the attention of Einstein and Szilard one morning," writes one of Szilard's later American protégés: "It was reported in a Berlin newspaper that an entire family, including a number of young children, had been found asphyxiated in their apartment as a result of their inhalation of the noxious fumes of the [chemical] that was used as the refrigerant in their primitive refrigerator and that had escaped in the night through a leaky pump valve." Whereupon the two physicists devised a method of pumping metallic[zed refrigerant by electromagnetism, a method that required no moving parts (and therefore no valve seals that might leak) except the refrigerant itself. A.E.G., the German General Electric, signed Szilard on as a paid consultant and actually built one of the Einstein-Szilard refrigerators, but the magnetic pump was so noisy compared to even the noisy conventional compressors of the day that it never left the engineering lab. Another, oddly similar invention, also patented, might have won Szilard world acclaim if he had taken it beyond the patent stage. Independently of the American experimental physicist Ernest O. Lawrence and at least three months earlier, Szilard worked out the basic principle and general design of what came to be called, as Lawrence's invention, the cyclotron, a device for accelerating nuclear particles in a circular magnetic field, a sort of nuclear pump. Szilard applied for a patent on his device on January 5, 1929; Lawrence first thought of the cyclotron on about April 1, 1929, producing a small working model a year later -- for which he won the 1939 Nobel Prize in Physics. Szilard's originality stopped at no waterline. Somewhere along the way from sixteen-year-old prophet of the fate of nations to thirty-one-year-old open conspirer negotiating publishing rights with H. G. Wells, he conceived an Open Conspiracy of his own. He dated his social invention from "the mid-twenties in Germany." If so, then he went to see Wells in 1929 as much from enthusiasm for the Englishman's perspicacity as for his vision. C. P. Snow, the British physicist and novelist, writes of Leo Szilard that he "had a temperament uncommon anywhere, maybe a little less uncommon among major scientists. He had a powerful ego and invulnerable egocentricity: but he projected the force of that personality outward, with beneficent intention toward his fellow creatures. In that sense, he had a family resemblance to Einstein on a reduced scale." Beneficent intention in this instance is a document proposing a new organization: Der Bund -- the order, the confederacy, or, more simply, the band. If we possessed a magical spell with which to recognize the "best" individuals of the rising generation at an early age...then we would be able to train them to independent thinking, and through education in close association we could create a spiritual leadership class with inner cohesion which would renew itself on its own. Members of this class would not be awarded wealth or personal glory. To the contrary, they would be required to take on exceptional responsibilities, "burdens" that might "demonstrate their devotion." It seemed to Szilard that such a group stood a good chance of influencing public affairs even if it had no formal structure or constitutional position. But there was also the possibility that it might "take over a more direct influence on public affairs as part of the political system, next to government and parliament, or in the place of government and parliament." "The Order," Szilard wrote at a different time, "was not supposed to be something like a political party...but rather it was supposed to represent the state." He saw representative democracy working itself out somehow within the cells of thirty to forty people that would form the mature political structure of the Bund. "Because of the method of selection [and education]...there would be a good chance that decisions at the top level would be reached by fair majorities." Szilard pursued one version or another of his Bund throughout his life. It appears as late as 1961, by then suitably disguised, in his popular story "The Voice of the Dolphins": a tankful of dolphins at a "Vienna Institute" begin to impart their compelling wisdom to the world through their keepers and interpreters, who are U.S. and Russian scientists; the narrator slyly implies that the keepers may be the real source of wisdom, exploiting mankind's fascination with superhuman saviors to save it. A wild burst of optimism -- or opportunism -- energized Szilard in 1930 to organize a group of acquaintances, most of them young physicists, to begin the work of banding together. He was convinced in the mid-1920s that "the parliamentary form of democracy would not have a very long life in Germany" but he "thought that it might survive one or two generations." Within five years he understood otherwise. "I reached the conclusion something would go wrong in Germany...in 1930." Hjalmar Schacht, the president of the German Reichsbank, meeting in Paris that year with a committee of economists called to decide how much Germany could pay in war reparations, announced that Germany could pay none at all unless its former colonies, stripped from it after the war, were returned. "This was such a striking statement to make that it caught my attention, and I concluded that if Hjalmar Schacht believed he could get away with this, things must be rather bad. I was so impressed by this that I wrote a letter to my bank and transferred every single penny I had out of Germany into Switzerland." A far more organized Bund was advancing to power in Germany with another and more primitive program to save the world. That program, set out arrogantly in an autobiographical book -- Mein Kampf -- would achieve a lengthy and bloody trial. Yet Szilard in the years ahead would lead a drive to assemble a Bund of sorts; submerged from view, working to more urgent and more immediate ends than utopia, that "closely knit group of people" would finally influence world events more enormously even than Nazism. Sometime during the 1920s, a new field of research caught Szilard's attention: nuclear physics, the study of the nucleus of the atom, where most of its mass -- and therefore its energy -- is concentrated. He was familiar with the long record of outstanding work in the general field of radioactivity of the German chemist Otto Hahn and the Austrian physicist Lise Meitner, who made a productive team at the Kaiser Wilhelm Institute for Chemistry. No doubt he was also alert as always to the peculiar tension in the air that signaled the possibility of new developments. The nuclei of some light atoms could be shattered by bombarding them with atomic particles; that much the great British experimental physicist Ernest Rutherford had already demonstrated. Rutherford used one nucleus to bombard another, but since both nuclei were strongly positively charged, the bombarded nucleus repelled most attacks. Physicists were therefore looking for ways to accelerate particles to greater velocities, to force them past the nucleus' electrical barrier. Szilard's design of a cyclotron-like particle accelerator that could serve such a purpose indicates that he was thinking about nuclear physics as early as 1928. Until 1932 he did no more than think. He had other work and nuclear physics was not yet sufficiently interesting to him. It became compelling in 1932. A discovery in physics opened the field to new possibilities while discoveries Szilard made in literature and utopianism opened his mind to new approaches to world salvation. On February 27, 1932, in a letter to the British journal Nature, physicist James Chadwick of the Cavendish Laboratory at Cambridge University, Ernest Rutherford's laboratory, announced the possible existence of a neutron. (He confirmed the neutron's existence in a longer paper in the Proceedings of the Royal Society four months later, but Szilard would no more have doubted it at the time of Chadwick's first cautious announcement than did Chadwick himself; like many scientific discoveries, it was obvious once it was demonstrated, and Szilard could repeat the demonstration in Berlin if he chose.) The neutron, a particle with nearly the same mass as the positively charged proton that until 1932 was the sole certain component of the atomic nucleus, had no electric charge, which meant it could pass through the surrounding electrical barrier and enter into the nucleus. The neutron would open the atomic nucleus to examination. It might even be a way to force the nucleus to give up some of its enormous energy. ...the liberation of atomic energy on a large scale for industrial purposes, the development of atomic bombs, and a world war which was apparently fought by an alliance of England, France, and perhaps including America, against Germany and Austria, the powers located in the central part of Europe. He places this war in the year 1956, and in this war the major cities of the world are all destroyed by atomic bombs. More personal discoveries emerged from Wells' visionary novel -- ideas that anticipated or echoed Szilard's utopian plans, responses that may have guided him in the years ahead. Wells writes that his scientist hero, for example, was "oppressed, he was indeed scared, by his sense of the immense consequences of his discovery. He had a vague idea that night that he ought not to publish his results, that they were premature, that some secret association of wise men should take care of his work and hand it on from generation to generation until the world was riper for its practical application." Yet The World Set Free influenced Szilard less than its subject matter might suggest. "This book made a very great impression on me, but I didn't regard it as anything but fiction. It didn't start me thinking of whether or not such things could in fact happen. I had not been working in nuclear physics up to that time." I met him again in Berlin and there ensued a memorable conversation. Otto Mandl said that now he really thought he knew what it would take to save mankind from a series of ever-recurring wars that could destroy it. He said that Man has a heroic streak in himself. Man is not satisfied with a happy idyllic life: he has the need to fight and to encounter danger. And he concluded that what mankind must do to save itself is to launch an enterprise aimed at leaving the earth. On this task he thought the energies of mankind could be concentrated and the need for heroism could be satisfied. I remember very well my own reaction. I told him that this was somewhat new to me, and that I really didn't know whether I would agree with him. The only thing I could say was this: that if I came to the conclusion that this was what mankind needed, if I wanted to contribute something to save mankind, then I would probably go into nuclear physics, because only through the liberation of atomic energy could we obtain the means which would enable man not only to leave the earth but to leave the solar system. Such must have been Szilard's conclusion; that year he moved to the Harnack House of the Kaiser Wilhelm Institutes -- a residence for visiting scientists sponsored by German industry, a faculty club of sorts -- and approached Lise Meitner about the possibility of doing experimental work with her in nuclear physics. Thus to save mankind. He always lived out of suitcases, in rented rooms. At the Harnack House he kept the keys to his two suitcases at hand and the suitcases packed. "All I had to do was turn the key and leave when things got too bad." Things got bad enough to delay a decision about working with Meitner. An older Hungarian friend, Szilard remembers -- Michael Polanyi, a chemist at the Kaiser Wilhelm Institutes with a family to consider -- viewed the German political scene optimistically, like many others in Germany at the time. "They all thought that civilized Germans would not stand for anything really rough happening." Szilard held no such sanguine view, noting that the Germans themselves were paralyzed with cynicism, one of the uglier effects on morals of losing a major war. Adolf Hitler was appointed Chancellor of Germany on January 30, 1933. On the night of February 27 a Nazi gang directed by the head of the Berlin SA, Hitler's private army, set fire to the imposing chambers of the Reichstag. The building was totally destroyed. Hitler blamed the arson on the Communists and bullied a stunned Reichstag into awarding him emergency powers. Szilard found Polanyi still unconvinced after the fire. "He looked at me and said, 'Do you really mean to say that you think that [Minister] of the Interior [Hermann Göring] had anything to do with this?' and I said, 'Yes, this is precisely what I mean.' He just looked at me with incredulous eyes." In late March, Jewish judges and lawyers in Prussia and Bavaria were dismissed from practice. On the weekend of April 1, Julius Streicher directed a national boycott of Jewish businesses and Jews were beaten in the streets. "I took a train from Berlin to Vienna on a certain date, close to the first of April, 1933," Szilard writes. "The train was empty. The same train the next day was overcrowded, was stopped at the frontier, the people had to get out, and everybody was interrogated by the Nazis. This just goes to show that if you want to succeed in this world you don't have to be much cleverer than other people, you just have to be one day earlier." The Law for the Restoration of the Career Civil Service was promulgated throughout Germany on April 7 and thousands of Jewish scholars and scientists lost their positions in German universities. From England, where he landed in early May, Szilard went furiously to work to help them emigrate and to find jobs for them in England, the United States, Palestine, India, China and points between. If he couldn't yet save all the world, he could at least save some part of it. He came up for air in September. By then he was living at the Imperial Hotel in Russell Square, having transferred £1,595 from Zurich to his bank in London. More than half the money, £854, he held in trust for his brother Béla; the rest would see him through the year. 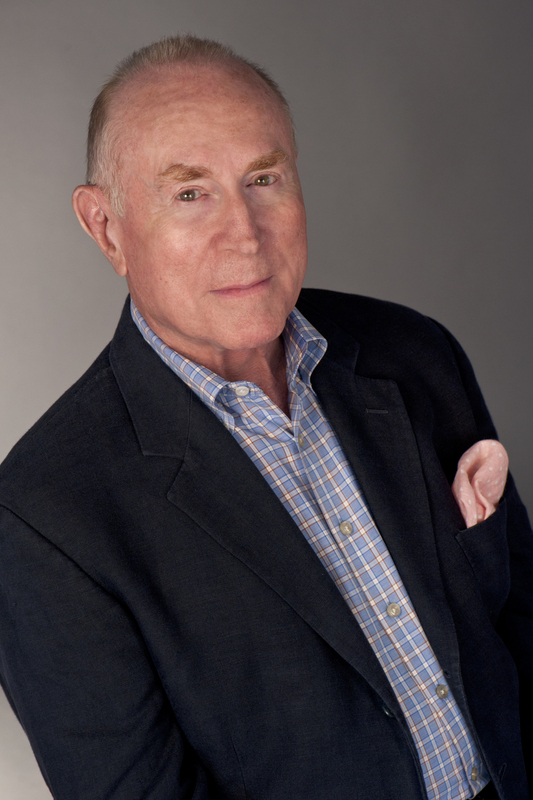 Szilard's funds came from his patent licenses, refrigeration consulting and Privatdozent fees. He was busy finding jobs for others and couldn't be bothered to seek one himself. He had few expenses in any case; a week's lodging and three meals a day at a good London hotel cost about £5.5; he was a bachelor most of his life and his needs were simple. "I was no longer thinking about this conversation [with Otto Mandl about space travel], or about H. G. Wells' book either, until I found myself in London about the time of the British Association [meeting]." Szilard's syntax slips here: the crucial word is until. He had been too distracted by events and by rescue work to think creatively about nuclear physics. He had even been considering going into biology, a radical change of field but one that a number of able physicists have managed, in prewar days and since. Such a change is highly significant psychologically and Szilard was to make it in 1946. But in September 1933, a meeting of the British Association for the Advancement of Science, an annual assembly, intervened. If on Friday, September 1, lounging in the lobby of the Imperial Hotel, Szilard read The Times' review of The Shape of Things to Come, then he noticed the anonymous critic's opinion that Wells had "attempted something of the sort on earlier occasions -- that rather haphazard work, 'The World Set Free,' comes particularly to mind -- but never with anything like the same continuous abundance and solidity of detail, or indeed, the power to persuade as to the terrifying probability of some of the more immediate and disastrous developments." And may have thought again of the atomic bombs of Wells' earlier work, of Wells' Open Conspiracy and his own, of Nazi Germany and its able physicists, of ruined cities and general war. All of which made Szilard restive. The leading scientists in Great Britain were meeting and he wasn't there. He was safe, he had money in the bank, but he was only another anonymous Jewish refugee down and out in London, lingering over morning coffee in a hotel lobby, unemployed and unknown. What, Lord Rutherford asked in conclusion, were the prospects 20 or 30 years ahead? High voltages of the order of millions of volts would probably be unnecessary as a means of accelerating the bombarding particles. Transformations might be effected with 30,000 or 70,000 volts....He believed that we should be able to transform all the elements ultimately. We might in these processes obtain very much more energy than the proton supplied, but on the average we could not expect to obtain energy in this way. It was a very poor and inefficient way of producing energy, and anyone who looked for a source of power in the transformation of the atoms was talking moonshine. Did Szilard know what "moonshine" meant -- "foolish or visionary talk"? Did he have to ask the doorman as he threw down the newspaper and stormed out into the street? "Lord Rutherford was reported to have said that whoever talks about the liberation of atomic energy on an industrial scale is talking moonshine. Pronouncements of experts to the effect that something cannot be done have always irritated me." "This sort of set me pondering as I was walking in the streets of London, and I remember that I stopped for a red light at the intersection of Southampton Row....I was pondering whether Lord Rutherford might not prove to be wrong." "It occurred to me that neutrons, in contrast to alpha particles, do not ionize [i.e., interact electrically with] the substance through which they pass. "Consequently, neutrons need not stop until they hit a nucleus with which they may react." Szilard was not the first to realize that the neutron might slip past the positive electrical barrier of the nucleus; that realization had come to other physicists as well. But he was the first to imagine a mechanism whereby more energy might be released in the neutron's bombardment of the nucleus than the neutron itself supplied. There was an analogous process in chemistry. Polanyi had studied it. A comparatively small number of active particles -- oxygen atoms, for example -- admitted into a chemically unstable system, worked like leaven to elicit a chemical reaction at temperatures much lower than the temperature that the reaction normally required. Chain reaction, the process was called. One center of chemical reaction produces thousands of product molecules. One center occasionally has an especially favorable encounter with a reactant and instead of forming only one new center, it forms two or more, each of which is capable in turn of propagating a reaction chain. "As the light changed to green and I crossed the street," Szilard recalls, "it...suddenly occurred to me that if we could find an element which is split by neutrons and which would emit two neutrons when it absorbs one neutron, such an element, if assembled in sufficiently large mass, could sustain a nuclear chain reaction. "I didn't see at the moment just how one would go about finding such an element, or what experiments would be needed, but the idea never left me. In certain circumstances it might be possible to set up a nuclear chain reaction, liberate energy on an industrial scale, and construct atomic bombs." Leo Szilard stepped up onto the sidewalk. Behind him the light changed to red.